Among all the products MAC makes - and they come up with an astonishing number every year - the eyeshadows are my favorites, but I almost always prefer to pick up singles/refills of eyeshadows and make my own palette. 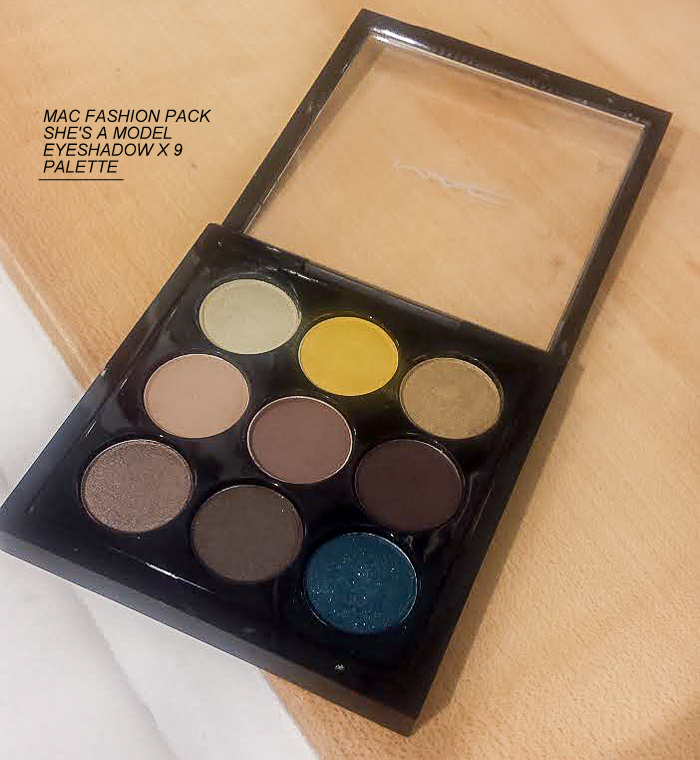 While it's definitely the best way to ensure I don't end up with colors I don't use (or multiple black shadows), some of MAC's premade palettes, especially the smaller 9-eyeshadow palettes seem like a good buy. The individual eyeshadows are smaller sized, but I have rarelynot used up any eyeshadow until now, so for someone like me this does seem like a good buy, plus they are the perfect travel-size. 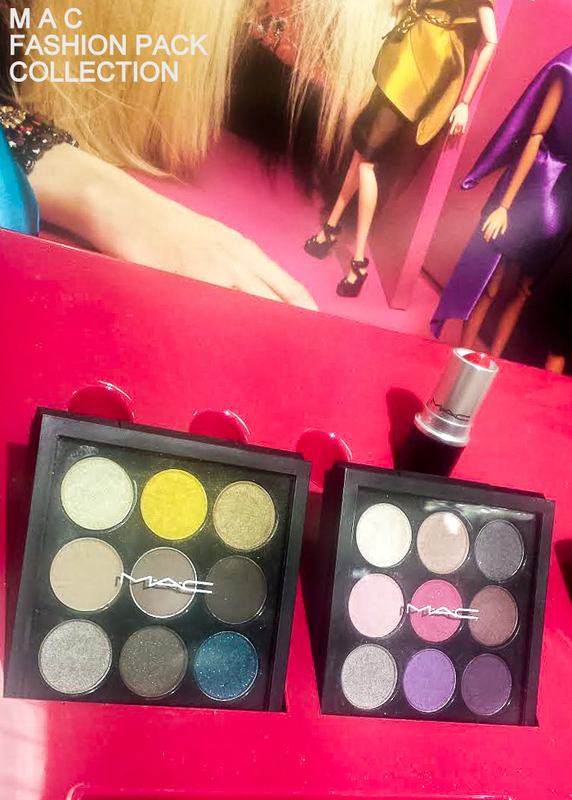 MAC Fashion Pack collection features two such eyeshadow palettes - a purple- and plum-heavy Runway Worthy palette and the neutral/brown-leaning She's A Model palette. 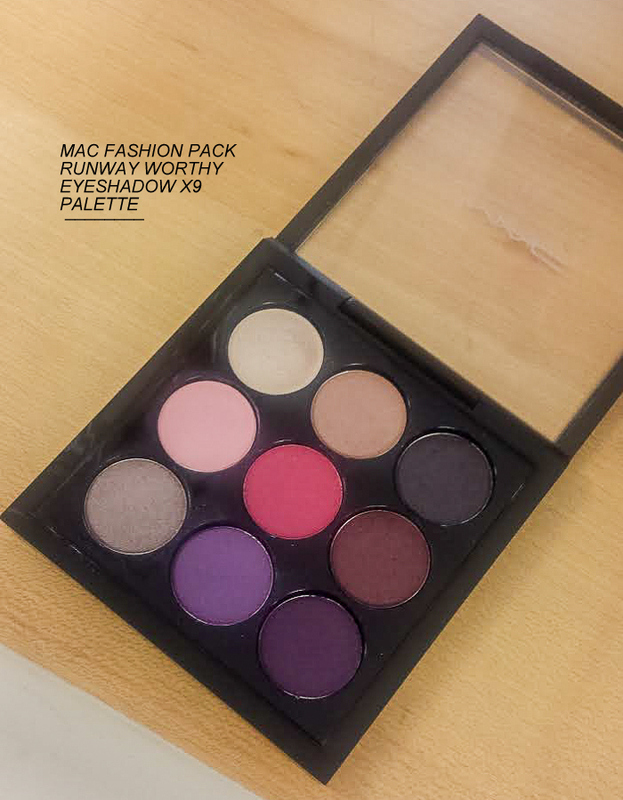 Both these palettes have 9 small eyeshadows in a smallish square palette with a see-through top. Scroll on for more photos and swatches. Of the two eyeshadow palettes, the Runway Worthy palette seems the better pick. The eyeshadows all are equally pigmented, and I love the colors included in the palette. These eyeshadows would work well for a soft daytime look and for darker smokey eye makeup looks. While the same should apply to the more neutral-toned She's A Model eyeshadow palette - and I am a neutral eyeshadow girl here - but the eyeshadows did feel slightly dry and difficult to swatch. My experience is limited to the testers in store, though, so I couldn't tell for sure. The colors are a good mix of golds, browns, taupe, and I love the deep shimmery bluish black color in the palette. I also feel these eyeshadows would perform well layered over a decent eyeshadow primer (hardly anything lasts on my lids without a primer, so that's really not an issue for me). At $32, I think both these palettes are a good buy. I liked the mix of colors, I love the size, and overall, I do think these palettes are definitely better than some of the pricier, luxury brand palettes I have tried. 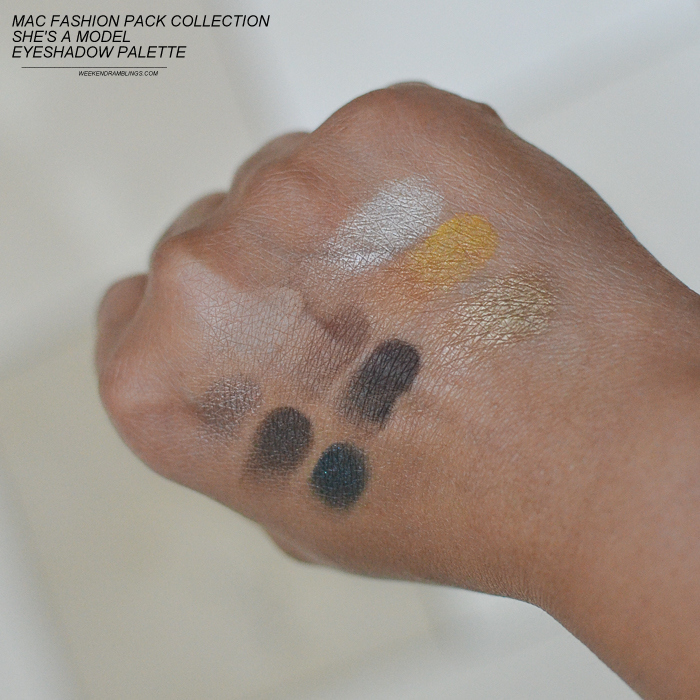 The quality of the eyeshadows might not be the same as some of the MAC full-size eyeshadows/refills, but these palettes sure are a convenient option.